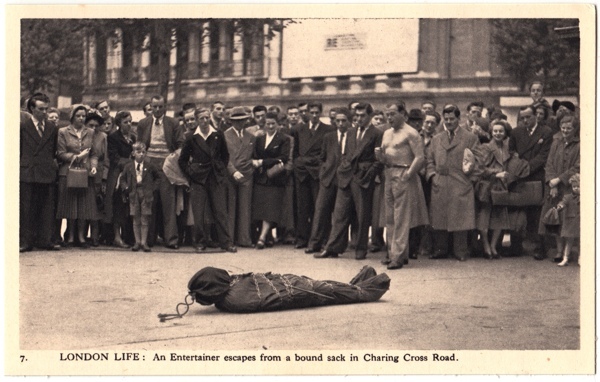 Now that the summer visitors are here and thronging in the capital’s streets and transport systems, I thought I would send you this fine set of postcards published by Charles Skilton, including my special favourites the escapologist and the pavement artist. 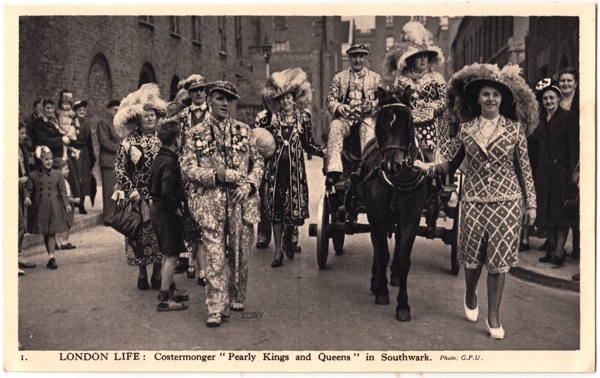 Looking at these monochrome images of the threadbare postwar years, you might easily imagine the photographs were earlier – but Margaret Rutherford in ‘Ring Round the Moon’ at The Globe in Shaftesbury Ave in number nine dates them to 1950. 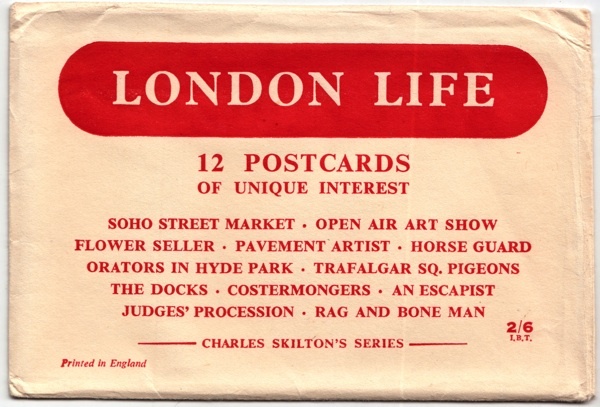 Celebrated in his day as publisher of the Billy Bunter stories, Charles Skilton won posthumous notoriety for his underground pornographic publishing empire, Luxor Press. 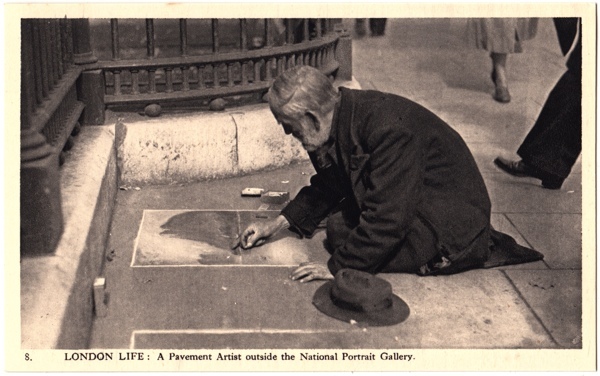 Yet again – note how dirty the buildings are. 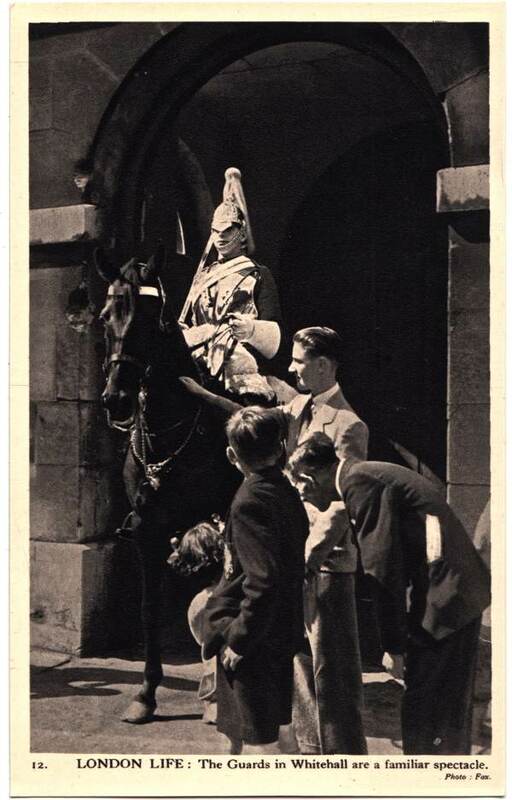 The other clue to the pictures being post-war are, as usual the ladies fashions – look at the skirts in nos 2, 7 & 10. No motor vehicles visible, unfortunately. 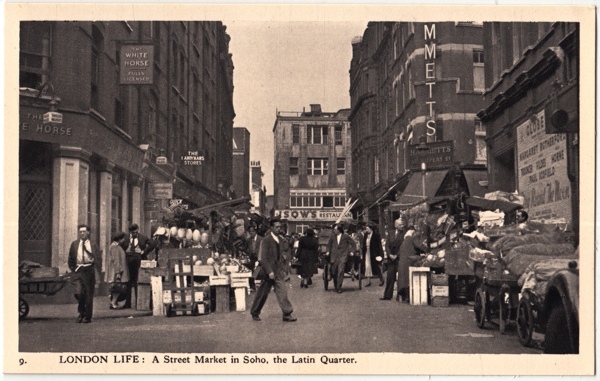 many thanks london had less tourists in the 50s and you could move around more easier than today , except maybe petticoat lane which was very crowded on sundays. 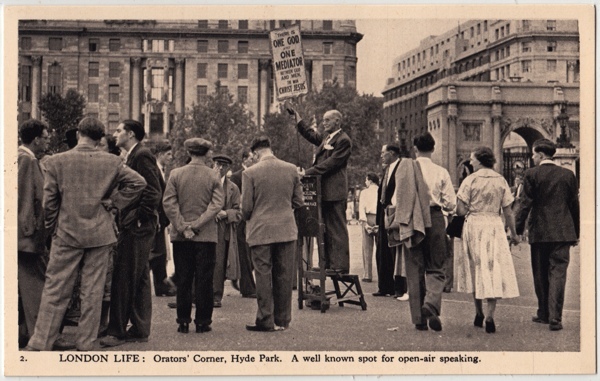 The fashions here are unmistakably from the 1950s, I can remember wearing skirts like that, and was probably wearing one when I stopped to look at the work of the pavement artist outside the National Gallery. 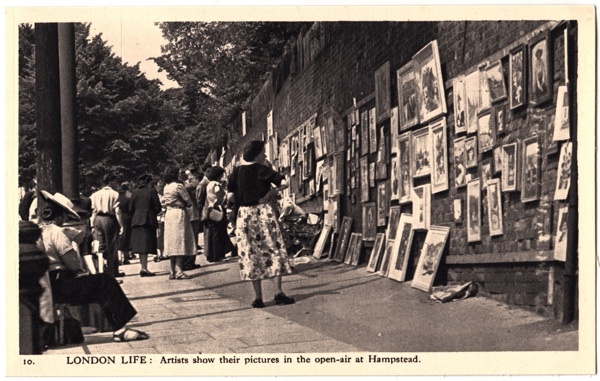 The escapologist is new to me, I don’t recall seeing him, but the paintings at Hampstead look very familiar, how London streets have changed since those days. 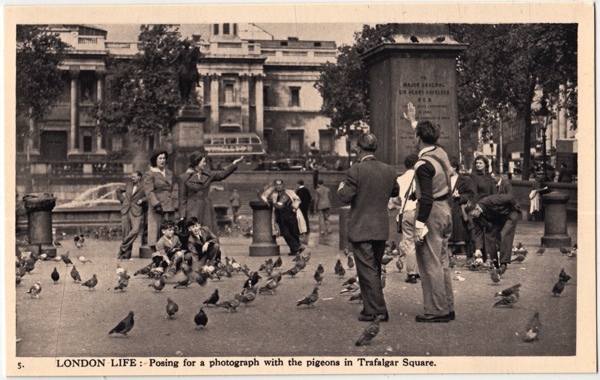 I have very unhappy memories of the pigeons in Trafalgar Square as one of them ruined my smart new suit!! A risk one always took and I was unlucky. 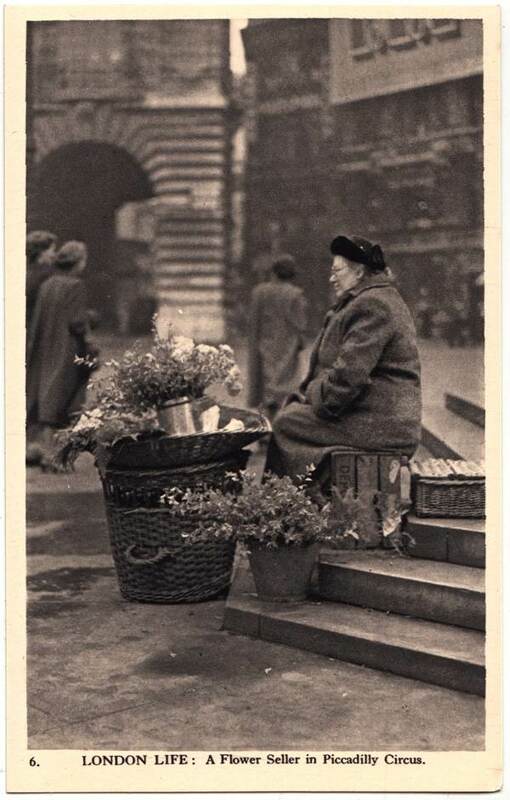 The Flower Lady looked quite isolated, where is the bustle of Old London! Can’t help thinking it might be my grandmother Becky TINGEY. 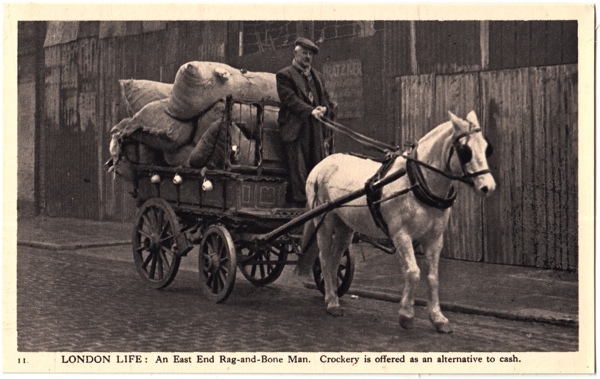 A wonderful collection – but I believe the image of the sacks being unloaded at London Docks may be earlier than 1950s. 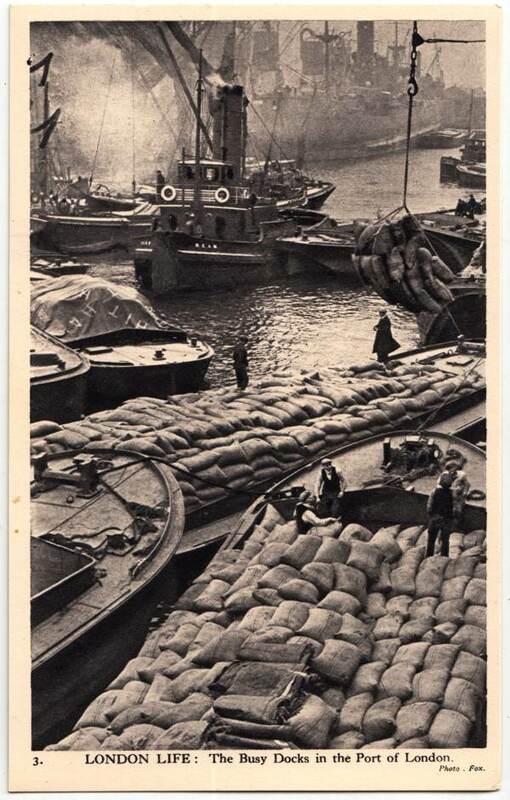 I have seen another image, clearly taken a few moments later when the attendant tug was closer to the lighters, which is dated as 7 July 1940 – and captioned ‘Unloading from a prize German ship. Maize and palm kernels’ I’ve been unable to trace the photographer until now. 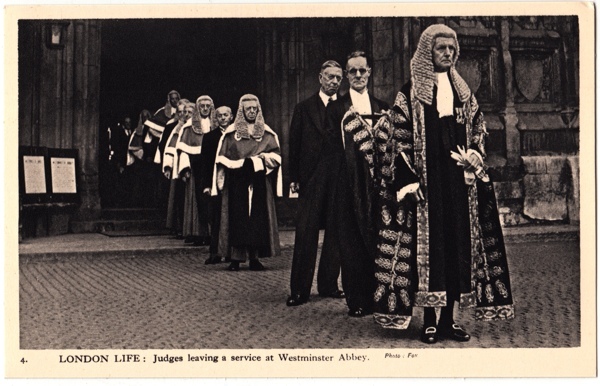 Does anyone know who would have copyright for this image for a possible inclusion in a museum exhibition?